This Rock Detectives Metamorphic Mystery eBook has a 30 pages of rock information, sample identification activities, puzzles, coloring pages, and experiments. Other fun activities in the eBook include creating your own adventure story, making a personal geologist's field notebook and your very own rock collection box! You will need red slate, tourmaline schist, pink quartzite, white marble, granitoid gneiss and amphibolite metamorphic rock samples for some of the activities in this eBook. 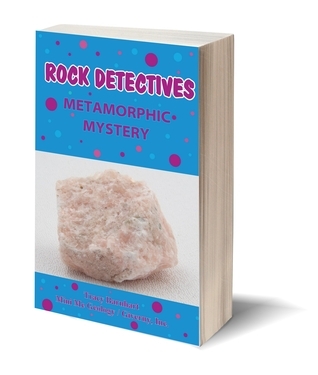 Click here to download a sample of the Rock Detectives Metamorphic Mystery eBook.